I wish my pinky finger won’t be blue or black stained every single time I’m writing notes down. I wish cutting with scessors or opening a food can won’t feel so awkward as it always feels. 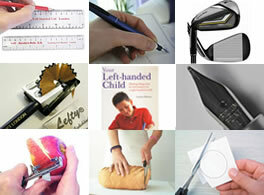 I’m a lefties and I’m really happy that there is a webpage for lefties. 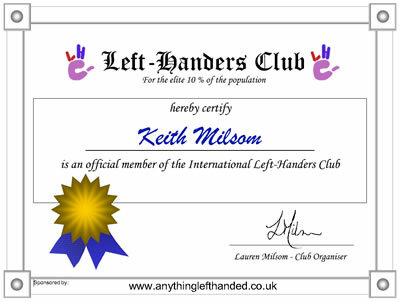 I appreciate the courage of persons that have established this club and their thought to fight discrimination against lefties around the world. Growing up I always felt out, because I’m a lefty….since primary,secondary and uni I’m always the only lefty in class and now work with other people who are lefty that made me feel like I’m part of something…and I found this club is amazing. I just noticed national left-handers day was founded August 13, 1976 which is my DOB. I am a PhD student in Nutritional Sciences from India. 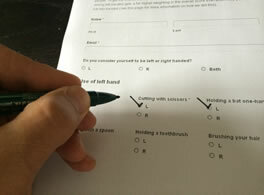 I’d like to become a member of the club and would like to receive a certificate.